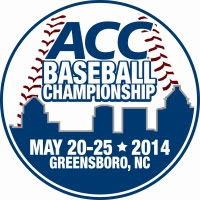 AugustaFreePress.com editor Chris Graham will be on the scene at the May 20-25 ACC Tournament with live in-game blogs from the press box featuring updated game stats, commentary, analysis and more. Postgame coverage will include video interviews with Coach Brian O’Connor and All-Americans and future top MLB draft picks Derek Fisher, Mike Papi, Nathan Kirby and Nick Howard. Your business may be the exclusive sponsor of AugustaFreePress.com coverage of the series with a Website takeover package running Thurs., May 15 – Wed., May 28. The $1,000 exclusive package will include …. Chris will also host special editions of the UVa. sports podcast Cavalanche! with in-depth coverage of the UVa.-Georgia Tech series.